If there’s anything I’ve learned over the years of managing my various digestive ailments, it’s that the human body is much more connected than we can even begin to understand. I learned this through years of studying the foods and habits that make my own body function at its best. However, there was one large component that I never knew was missing until over a year ago. We all learned this in biology right? This most vital organ is the power source for everything that’s happening in your body. From wiggling your toes to digesting that breakfast you ate this morning. It’s essential to your very being. But that’s not the only important part: your spinal cord and nerves that stem from it allow for the messages to get to where they need to go in your body. When there’s an interference in the spinal cord, or subluxation, it becomes increasingly difficult, if not impossible for those crucial messages to arrive at their final bodily destination. Everything from diseases to chronic aches and pains can be attributed to these interferences. What can help with correcting and alleviating subluxations? Well, the answer is chiropractic care. Picture this: a 20 year old, seemingly out of nowhere, starts showing signs of digestive distress. From post-meal abdominal pain to indigestion (and everything in between), this was my life. It varied in degree of discomfort and pain throughout the years and at the intersection of “what is wrong with me?” and “I think I finally figured it all out,” I was introduced to Maximized Living through my parents. So, just what is Maximized Living? 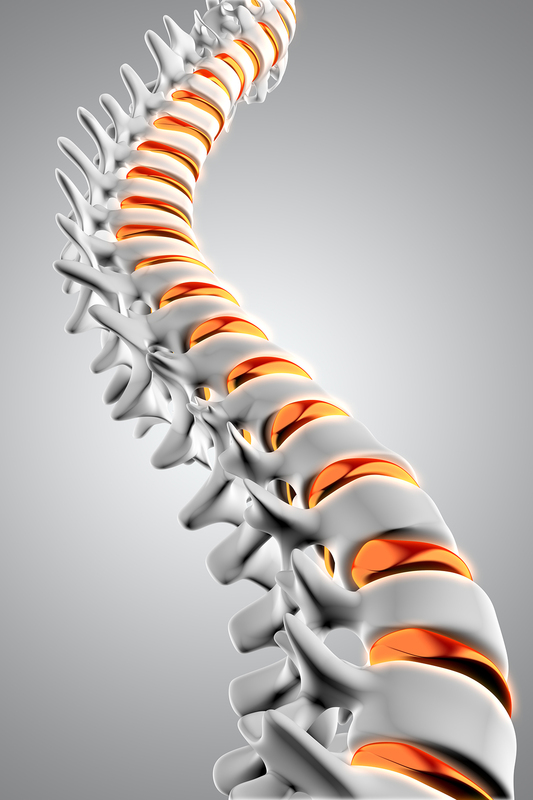 It’s a group of chiropractic care clinics that are focused on the betterment of human health via spinal corrections. With over 400 clinics worldwide, Maximized Living has been in business for 20 years. Amazing right? But to leave it at that would do a great disservice to it. There’s just so much more to them. They’re made up of truly dedicated professionals who want to help as many of us as possible. They teach us how to be our best healthy self, but what each patient gets out of the program depends on the work put into it. From bi-monthly events to community dinners to shopping with the docs, there are so many ways to start your spinal educational journey through Maximized Living. But that’s not all they do. My chiropractic care journey began at Judge Family Chiropractic – a Maximized Living Clinic. In March 2017, my parents started their treatment plan. After attending several of their monthly events, my parents, who understood my digestive issues up to that point, repeatedly suggested that I attend an information session. Based on the information they learned, they felt an obligation to inform me as well. You don’t have to walk too far into a Maximized Living clinic to understand what they’re all about: The Five Essentials. This is the bread and butter of Maximized Living. Getting your adjustments on schedule and completing your daily home care exercises is crucial to ensuring that the other four essentials help your body operate at optimal levels. Working out, amiright? It’s one of the easiest habits to get out of. And if you’re anything like I was, you may think that it’s only for “getting in shape”. There’s so much more to exercise though. Getting enough oxygen to all parts of your body is crucial to giving it proper functionality. Here’s another hard habit to implement. We all have such an attachment to the foods we it. Let’s face it — it’s personal. And when someone tries to take that double fudge chocolate cake out of your hands it’s a big “uhh no thanks”. But remember healthy eating doesn’t have to mean bland, horrible flavors. You can have your proverbial cake and eat it too. Just with some tweaks, of course. Maximized Living provides you with the nutritional information and guidance you need to ensure a successful food lifestyle makeover. Whether it be through their book or the beautiful recipe page on their site you’ll be set up for success. This taco pizza recipe uses a pizza crust from their site and it is delish! Your brain health is just as important as any part of your body. Oftentimes overlooked and neglected, forming healthy brain habits like positive thinking (shifting your perspective and judgments or assumptions), meditation, yoga (yes, considering this a form of meditation), doing activities that you truly enjoy, working on personal relationships, understanding the interconnected intricacies of the world and so much more are so crucial to forming a well-rounded viewpoint on health and wellness. Toxins can be found anywhere: in your food, in the environment, in your personal care products. So, although it may seem impossible to get rid of them 100%, it’s still important to try to control what you can control. That’s where resources from community learning events to helpful informational flyers come into play. Aside from that, websites like Environmental Working Group are so very helpful in your quest to use only the best food and personal care products. Chiropractic care came at a pivotal moment in my life. Everything I had explored and done for years regarding my digestive health up to that point felt like it wasn’t working for me anymore. There was no real pattern. I was even afraid to eat the healthiest of meals at times. Regardless of what I did, I felt my symptoms continue to spiral downward. And, on top of that, my mental state was starting to take a toll on me. For months at a time, I was crippled by the feeling like no matter what I had done in my life, I wasn’t where I was supposed to be, while simultaneously feeling that what I was currently doing wasn’t helping my life at all. It was difficult for me to find motivation to do anything, let alone get out of bed in the morning. I just wasn’t happy. As I signed up for their treatment plan, I had a feeling like my body and my life was going to change. And I was beyond ready for it. Maybe it was because of the feeling of care I felt from Dr. James and Dr. Kalie or maybe it was because I felt like I had exhausted every other avenue in my life, but this felt different. Non-digestive related health issues that had plagued my body for almost two years subsided two months into my care. Then, three months in, my mind felt clearer and I felt like things I was going through were easier to cope with. What took the longest was my digestive issues. Finally, in month seven, I started to notice a substantial difference in the way my digestive system handled certain foods – healthy or not. I primarily take on a healthy approach when it comes to my diet. Yes, I’ve had cheat days and meals, but they’re primarily filled with real ingredients and, for the most part, I’m cooking them at home. Regardless of the fact, I’ve had a pretty consistent diet for years now – way before I started treatments with Maximized Living, so, in my direct experience, the outlier during the months I started to feel better were directly related to the treatment plan I implemented via Judge Family Chiropractic. I know this to be true because I know my body. I spent almost a decade studying it – what works with it, what doesn’t – and understood how different actions (whether they be diet, exercise, supplements, or antibiotics) helped and hurt my body. A healthy lifestyle doesn’t have to come with a cost. Whether you’re looking to continue to eat the flavors you love, want to start a new exercise program, or all the above, Maximized Living has a way to help. Replacing what you’re currently eating and doing are major changes; however, Maximized Living helps you do this in increments and if you’re already living a healthy lifestyle, they just further reinforce, support and are your biggest cheerleaders in your continued health and wellness journey. If you’re at a health crossroad in life or know someone who is (even if you’re not), take a chance on chiropractic care with Maximized Living. With offices all over the United States, it’s convenient and crucial to anyone’s health — whether you’re already “healthy” or not. If your in the Chicagoland area and near St Charles, be sure to make Judge Family Chiropractic Care your #1 choice! As always, drop me questions or comments below. I’d love to continue to be a resource. Is Your Gluten Intolerance Actually a Yeast Intolerance?